The new Sinn EZM 12 is designed for medical professionals, particularly those involved in emergency medicine. This watch takes it place among Sinn's EZM Mission Timer Watches (Einsatzzeitmesser) which are designed for the German Special Forces, including SWAT, Customs, FBI, helicopter police, GSG9 and other elite units. If you've traveled in Germany you know about the autobahn, which in many parts of the country allows for unlimited speed. Although this unlimited speed is an adrenaline rush, it can unfortunately lead to very serious accidents. To create this new watch, Sinn collaborated with the German Air Rescue Team, which maintains a presence throughout the country. 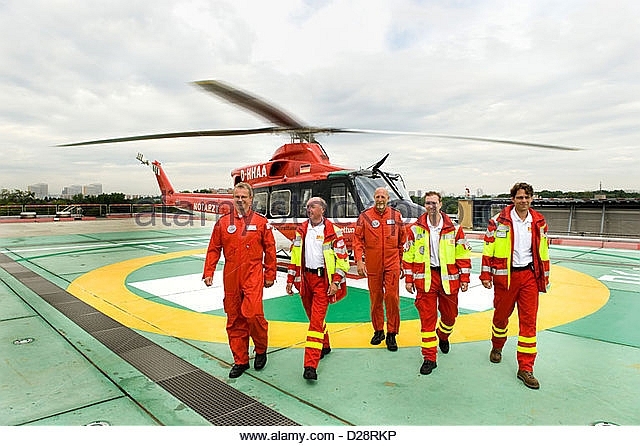 This elite team flies helicopters staffed with doctors and medics who are on 24 hour standby for car accidents. Every rescue mission in Germany to which emergency doctors are dispatched is a race to save lives and against time. For the 'golden hour' and 'platinum ten minutes' are decisive in determining the course of action taken. This means that a patient should arrive at the hospital within an hour of an accident and that a critical patient should be treated and transported within the first ten minutes. A count-up inner rotating bezel allows emergency doctors to constantly keep an eye on the specified time frames, while a countdown outer rotating bezel enables the exact times for administering medication to be monitored. The seconds hand is designed in the shape of a rotor and features an integrated pulse scale which enables easy recording of the heart rate every 15 seconds. The EZM 12 is designed so that emergency personnel are equipped with a high-performing tool that will contribute to saving lives. Another special feature of the EZM 12 is the easy to clean watch bezel and strap. 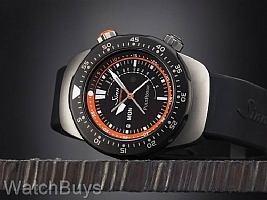 The silicone strap can be removed without the use of tools, while the rotating bezel may also be removed using a large screwdriver for cleaning. Finally, Sinn has integrated the copper sulphate capsule into the crown and has incorporated orange ceramic on the outside surface area of the crown.